BMW Luxury Touring Community > BMW Bikes > RT Series > Anyone help decipher powerscreen wiring 1995 RT? Anyone help decipher powerscreen wiring 1995 RT? 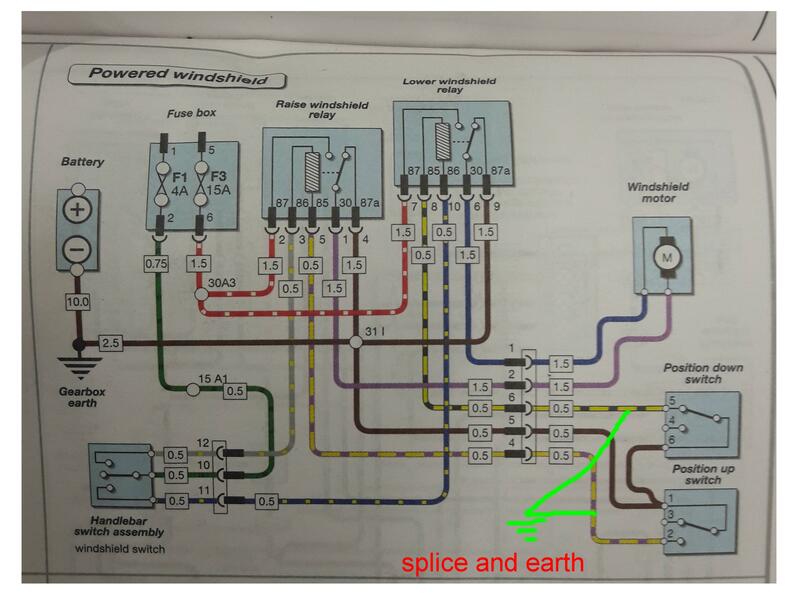 I have attached the wiring diagram below if anyone can help me decipher whats going ???? Anyway - battled to get another 2 new realys - fitted them and still not working. So delved in with the manual and got the motor off and its working fine (2 wires) got the power in to both relays from 12v Batt+, got, got the power from handlebar switch 12v ok for both up and down, got the earths on both replays and the motor ok. However nothing happens unless - see pic - I earth the up/down switch from the relays (not the handlebar) to the up/down switch on motor. I've got a bodge (see pic) where if I bridge the 2 switched wires on relays/motor to a common earth the up/down switch on bars activates!!! What the ??? am I missing here folks - BTW - both the old relays are fine! Re: Anyone help decipher powerscreen wiring 1995 RT? Sounds like the relays are good, as is the handlebar switch and the motor, and if there are no obvious wiring faults I would be looking at the up and down position limit switches. You could disconnect the wires from the limit switches and check between pins 5 & 6 on the down switch, also pins 1 & 2 on the up switch with a multimeter. I would expect the limit switchs to go open circuit when the screen is either fully up or fully down (one switch controlling up, the other down) this is what stops the motor when the screen gets to the end of it's travel. When the screen is somewhere in between fully up and fully down, both switches should be short circuit across pins 5 & 6 and 1 & 2 respectively. Hi and thanks for reply. Whilst I can navigate most small elec probs I'm no expert. Unlike the wiring diagram - I have the Haynes & factory manuals - there is only 1 small Blue limit switch on the motor. 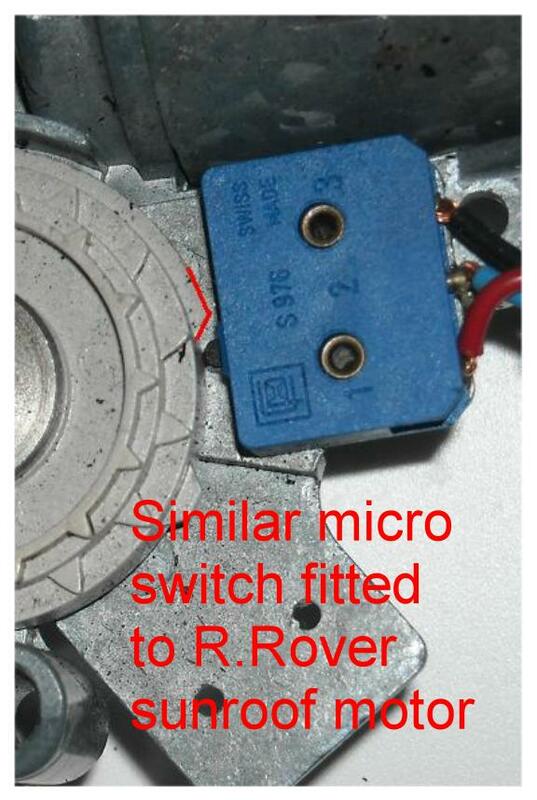 It has 3 wires - up/down/earth and 1 contact for the touch against the rotating wheel in motor. If I earth the up or down wires the screen will operate. The 2 main wires to the motor will only power up if I earth these limit switch wires either on the motor or at the multiplug where the relays are attached. Further to last post - in the pic I show green arrows - stupid question ??? but if I join both those feed wires on the limit switch on motor to a permenant earth and use the handlebar switch as normal (tried it and it works) what can go wrong? Burn out??? Yes, you could destroy the motor drive mechanism as it could over travel in both directions. Have you checked the 2 limit switches. Unsure how to test the LS? - as stated there is only 1 despite what the diagrams state. It's got a single plunger that contacts with the motor wheel and 3 wires: earth and what I assume should be 2 feeds? No power goes to the feeds but they will operate when I put them to earth. and yes you are correct - the relays do not click when handlebar switch is depresed however - there is 12v going into the relay coils terminal 86 and 12v coming out of terminal 85 when switch is pressed but the 30 terminals show nothing - these are the main feeds to motor - does make sense? ok, so you have only one pyhsical limit switch, but if you look at the diagram although it's shown as 2 switches, the brown common wire is feeding both switches, so there only needs to be 3 wires connecting to the switch. Can you try operating the switch manually to see if it clicks - then check the continuity. You should see a 'changeover' action where the brown common wire is either shorted to one or the other of the remaining 2 wires. OK Jon. Not able to strip motor just now but had a few mins to spare as follows (and it's a pig to get get cover relocated again). Did a continuity test on the limit switch with common earth - result no continuity with either of the other 2 wires. Disconnected the 5 motor wires from the multiplug and checked the 3 on LS again - same result. 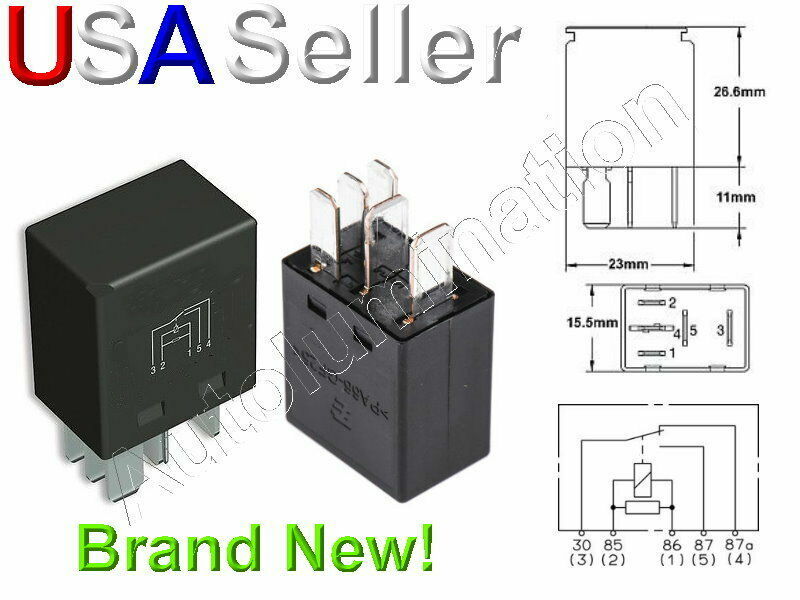 Relays will only click if earthed seperatly via 86/85 (different positions on up/down relays)(and subsequently power the motor if reconnected. Looking at the diagram I'm going for a faulty limit switch. If you follow the path from +12 to ground it goes through the handlebar switch, then one or other or the relay coils, then through the limit switch and to ground. If the limit switch is testing open circuit both ways, then it won't matter whether you press up or down on the handlebar switch, neither relay will operate, and unless one or other relays operate, the motor won't run. OK - sorry if I'm sounding dim here - but if the motor assy is disconnected then should the relays still not work as normal via the handlebar switch and send power to the motor only to have the limit switch then do it's thing? If the motor is disconnected, the relays will not work. 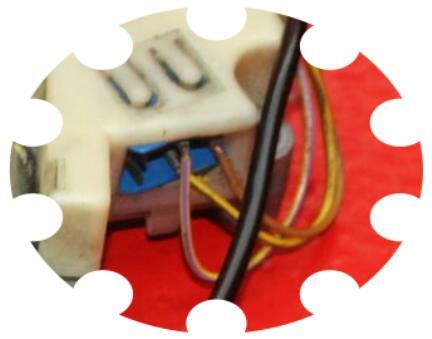 Their coil supply is through the connector of the motor (which is also the same connector as the limit switches). Short all 3 of the wires on the limit switch together. Then if everything else is good, the relays should energise and the motor should run when you press the handlebar button. As has been said, this is not a fix as the motor will burn out, but it would indicate the limit switch is faulty. OK folks. Shorted all 3 wires on micro switch and as you stated the handlebar switch works both ways. Pulled the motor and removed the micro switch. Using multi meter I tested for continuity over the 3 terminals using earth as common but no continuity signal through the other 2. In turn pressed the up/down buttons (I now see there are 2 tiny buttons on the switch 1 on top of the other!) and both ping continuity ok tested. So this means the micro/limit switch is ok or ???? If the micro is ok what now? 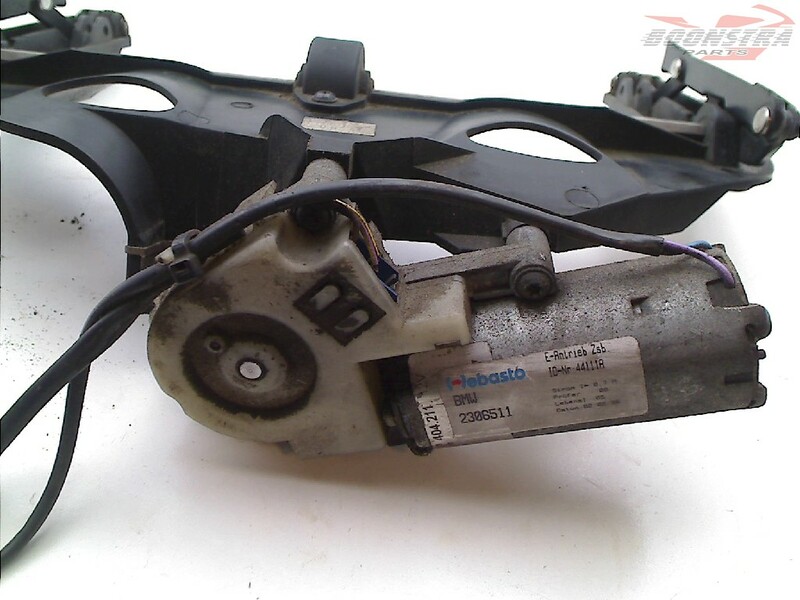 I see Range Rover/BMW use same micro on sunroof motors but cannot for the life of me find anyone who sells these seperatly - not even RS. There is a lot of Oilheas specific knowledge on there - particularly a guy that goes under the name of D.R. or Dirtrider. Thanks Bandy - have put a post up and link back to all your good advice. Geez, I thought there were only Harley/s back then...and they were like bicycles with motors. Nevertheless, I appreciate the love of old things.